Could you elaborate a bit further concerning why there were problems between Sanz and Ruzhin and Sanz and Belz? Why do Munkatch and Satmar see themselves continuing the Sanzer derech? The Rebbes of Munkatch and Sighet were chasidim of the Sanzer Rebbe and subsequently of his son the Shiniver Rebbe. The Halberstams and Teitelbaums were extensively intermarried. The Shiniver Rebbe, in his first marriage, married the granddaughter of the Yismach Moshe - and he lived in the home of the Yismach Moshe for many years. The previous Satmar Rebbe (R' Moshe Teitelbaum) was the grandson of R'Sholom Eliezer Halberstam - second to the youngest of the Divrei Chaim's sons. What is amazing is that R' Yechezkiel Shraga of Shiniva - saw 5 generations of the Teitelbaum family - the Yismach Moshe and his son, the Yetev Lev, the Kedushas Yom Tov and the Satmar Rebbe R' Yoel ZY"A. If you study the Sifrei Minhogim of Sighet / Satmar and Munkatch, you will see they all considered themselves ongoing Sanzer Chasidim. "Could you elaborate a bit further concerning why there were problems between Sanz and Ruzhin and Sanz and Belz?" Baruch Hashem I'm not a baki on such things. I recall the Divrei Chaim having issues with a certain Rebbe, but I don't recall the details enough to be of much use. I do know that the Shefa Chaim makes relatively frequent references to the Sar Shalom of Belz zy'a. "If you study the Sifrei Minhogim of Sighet / Satmar and Munkatch, you will see they all considered themselves ongoing Sanzer Chasidim"
I didn't realize that they would actually identify as such. I was once purchasing some seforim and one of the sets which I intended to get was unavailable. At the last moment I decided to get the Divrei Yechezkel and Sh'uT Minchas Eliezer (Munkatch) instead. As I began skimming the supplemental material which is included in the Divrei Yechezkel I found that there was a significant connection. The Minchas Eliezer refers to the Divrei Yechezkel as the "Rebbe's Rebbe". Later I read "Klausenberger Rebbe: Rebuilding" (Thanks to both ASJ and DixieYid who made sure I caught it) which noted, as I recall, that the Klausenberger Rebbe zy'a learned under the Minchas Eliezer for a while. 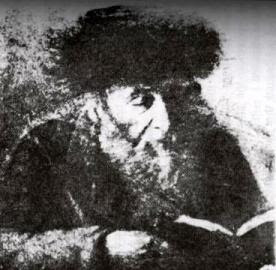 Frequent references to Sar Sholom of Belz - The Divrei Yechezkel - although son of the Divrei Chaim - considered himself a Belzer Chosid and R' Sar Sholom to be his Rebbe. There is a two-volume set of seforim solely about the Divrei Yechezkiel and his decendents published in E"Y in loshon hakodesh. There is much interesting material and extensive footnotes. I will come back to this site on Sunday and post the name and details B"N.
The Satmar Rebbe R' Yoel, when asked, often attributed his minhogim to Sanz. He also had a bekeshir b'yerusha from the Shiniver which he wore Ever Y"K.
The importance of learning in Sanz cannot be over-emphasized. The Sanzer Rebbe, when placing tefilin on a bar-mitzvoh bochur - would tell him to go home - to fill himself with Sha's and poskim - and not to return till his chasuna. Do you think there's a connection between what you wrote and the fact that these branches of Chassidus have essentially lost what chassidus is (they themselves udmit it, the Satmar Rebbe said it himself, that the Baal Shem Tov's derech is forgotten)? Perhaps, because they lost chassidus, they had no choice but to essentially become litvaks...? 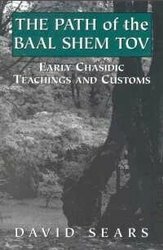 This is a long discussion, but in general I got an impression, that Tzanzer Rebbe was disappointed with development of Chassidus, and probably out of concern of profanation, he "trimmed" many mystical aspects of Chassidus, moving them back to pre-chasidic views. You can ask experts in that, I'm not so thoroughly familiar with Tzanzer history. In this sence Munkatch is pretty different, coming from the Bney Yissoschor (who was the talmid of Reb Tzvi Hersh Zhiditchover ztz"l) Munkatch has a big focus on Kabolo and inner aspects of Chasidus (at least historically. Today Munkatch probably can't be compared to pre war one). There was a fierce conflict between Tzanz and Rizhin, that led even to charomim and etc. (I'm not exactly sure what was the cause, some said it was a negative view from Tzanz concerning Rizhiner royal style. If so - today everything is in reverse - i.e. Tzanzer/Bobover etc. style is very royal today). "Perhaps, because they lost chassidus, they had no choice but to essentially become litvaks...? " Nu? The Rebbe Reb Elimelech is a Litvak? Or the Ba'al Shem Tov? Study is four hours, breaks are brief. An Am HaAretz cannot be a Chasid. The Ba'al Shem Tov did not come to start a new religion. Yoreh Deah 264:4 isn't overridden by ideology. Ok Yirmiyahu, you got me here with your mekoros... I was under impression that al pi derech haBaal Shem Tov, Limud haTorah must always be with dvekus... Are there other sourses that say it? What about the Baal Shem Tov's letter, where he sais: "...your way shall ever be in the presence of G-d and never leave your consciousness in the time of your prayer and study. Every word of your lips intend to unite: for in every letter there are Worlds, Souls and Divinity..."
A Yid, do you have anything to say about this? I am unfamiliar with the citation you have given, but at any rate I am not the right person to try to reconcile them. I'm sure there are others here who are much better equipped to do so. What I can say with confidence is that we cannot accept a caricature of the Ba'al Shem Tov as some sort of Robin Hood who takes spirituality from the Talmidei Chachamim and gives it to the Amei haAretzim. According to the quotes I brought, or to those you brought, Torah Study is necessary. I'm not sure where to find it but I recall that Sudilkover Rebbe instructed ASJ to include Ein Yakov to his daily learning seder because a Jew has to learn Gemara. I think the issue is not learning vs not learning. The issue is, should be the mystical chasidic practices taught and practiced by masses. Talmidey Baal Shem Tov held that yes. It was the integral part of chassidus. After the inner crisis of Chassidus developed, some tzadikim (like the Rebbe) held that it has to be struggled with, while others (like Tzanz) decided to drop those things out of concern. But this is just a guess, as I said again - someone who is an expert in Tzanzer history can explain it better. Yirmeyahu: This is the posting you are referring to. "Sanzer derech sais: go learn, without emphasizing the spirituality/dvekus that must accompany it." I would like to remind you that the post was about the focus on traditional Torah learning in Sanz and it was to that which you challenged Sanz as being off the derech of the Ba'al Shem Tov. It was only after I cited the Ba'al Shem Tov that the topic of devekius became involved. I get the impression that this is more about marginalizing Sanz than anything else. If you take a look in the index of Divrei Chaim you will find that discussion of devekius is not at all infrequent. The Shefa Chaim explains that the reason we have so few Gedolei HaTorah today despite so many spending fifteen to eighteen hours a day learning is because they are weak in their tefillos. You say, "Of course learning is nessecery" and the truth is I'm sure you believe it and more than likely you are much more successful in your learning than I. In that phrase, however, I hear a platitude. Perhaps not from you but maybe its the same language you've absorbed from those you've absorbed such a dismissive attitude about another Chassidus. Learning is not just "necessary". No "of course" is necessary...it goes without saying. No ifs ands or buts. When the importance of learning Torah because a platitude, such "deveikius" is suspect. I sincerely hope that I am correct in assuming that the tone I hear is only that, a tone. ASJ, you know that this type of response was one of the reasons I was very hesitant to answer you publicly. Please feel free to remove my comments if you feel I'm getting too...whatever. Yirmiyahu (if you're still following this post): If anything, it's my comments that may be getting too... whatever... I don't think your comments are offensive in any way. "... focus on traditional Torah learning in Sanz and it was to that which you challenged Sanz as being off the derech of the Ba'al Shem Tov." The Sandzer oppossed what he saw as the modern fashions of the Ruzhiner women. The men too were influenced by contemporary Western fashions and styles. This was the outward reason for the fight. From a Marxist view the Sanzer saw the Ruzhiner as a potential threat to his hegemony over Galicia. The Ruzhiner were also opposed to the Austrit mentality while the Zanser supported this separatist mentality. I beleive the real reason was that the Zandzer based his chassidiuth on learning on Nigle. The Ruzhiner based his chassidus on the cult of the zaddik on hishkashrus. saying Chassidus and certainly Nigle played little role in that chassidus until after WW1 and then only in the case of Reb Moshele Boyaner.In many ways I think Ruzhin is Chabad lite, the chassidus is just roshe perokim of Chabad and the hiskashrus is all important. 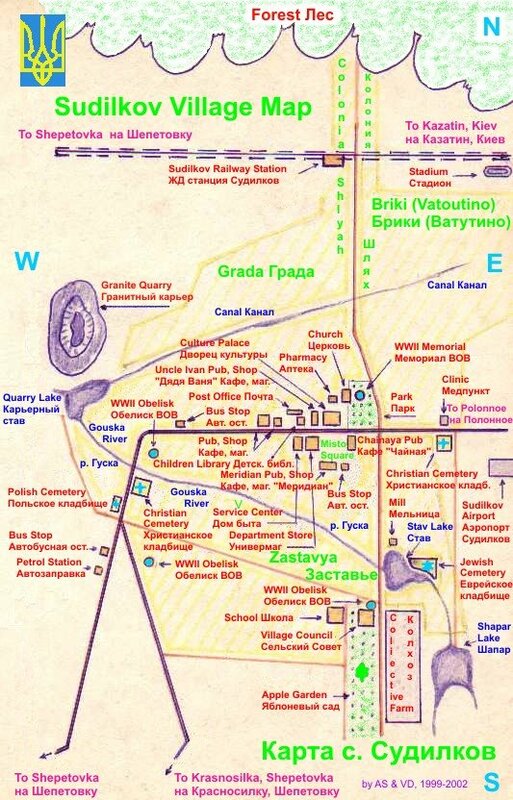 The Ruzhiner and his children practiced the Russian brand of Zaddikism the zaddik was ALL and hishkashrus was the goal. The Sandzer and his followers were learners and to them the zaddik was important but learning also played a role. No Ruzhiner was ever a rabbi (not the Sadigerer, Husyatner, Czortkover, vasluier, Bhusher, Rimonover,Stefaneshtisher, Spikover etc) while almost all Zandzer kinder were rabbonim (with the notable exception of the kadsoh rav Sholom Leizer halberstam of rRazfert the second youngest son of the Divre Chaim who was never a rav.). This in itself says a lot. Of course in our times distinctions are lsot. there are Zandser branches that act sort of like Ruzhin and some Ruzhiner pretenders who would like to be zandzers. 1. 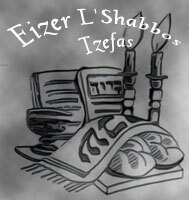 The correct name of the Munkacser ZT"L was Chaim Elazar and his famous sefer was Minchas Elazar, not Eliezer. 2. The idea of Sanz vs. Ruzhin as a turf war was not substantiated by the commenter who speculated about it. The founders of Sanz and Ruzhin got along very well. Reports of off-derech behavior by at least one later Ruzhin/Sadigora family member alarmed the Sanzer Rav ZT"L and escalated into a major conflict. 3. As far as I know, Austritt in the sense of withdrawal from a formally sanctioned, government-supported general community was not a concept relevant to Galicia. The situation was different in Prussia/Germany (where the term arose) and Hungary. If one reads Yitzchok Eben's sefer about the machlokes ( in Hebrew) and Shia Rocker's reponse " Rav Chaim Halberstam " ( another Yiddish monograph) , one will note that although the sandzer had the greatest personal regard for the Heilike Rizhiner , the same may not have been true about the second generation of dynastic leaders and people about these 2 zaddikim. And these people were worried about inroads made by Rizhin in the Chasidic community in Galicia. of). The Rizhiner dynasty was much more open minded, sympathetic to Zionism , in certain areas like Bukowina its leaders supported attempts at Tora Im Derech Eretz yeshivas and in general was more of an Amcha Big tent inclusive Chassidius. In the inter war years in MOldavia many if not a mjority of Rizhiner chassidim were not that frum, but firmly beleived in the rebbes like the Bhusher, Spikover and the Holy Stefaneshtisher rebbe. The story of the Liover was used as a smoke screen by many of the Sanzer chevra to fight the Royal lifestyle of Rizhin. In fact the Liover returned "home" and shalom al Isael. Galicia in the period under discussion was administered by the Austrian portion of the Austro- Hungarian empire, while Hungary (including areas in today's Slovakia and Romania) had its own parliament, bureaucracy, etc.